D: Issued to a person who plans to reside permanently in China. Z: Issued to a person who will take up a post or employment in China and to that person's accompanying family. X: Issued to a person who enters China for study, further education or practical training for six months or longer. L: Issued to a person who enters China for tourist or other private purposes. All foreign nationals entering, leaving, passing through or residing in China must obtain the relevant visas from the relevant Chinese authorities, which include the Chinese diplomatic missions, consulates and other representatives in foreign countries and the Ministry of Public Security, the Ministry of Foreign Affairs or local designated authorities within China. Social security tax rates vary among different cities. Employers and employees are subject to social security taxes at an average rate of 30% and 11% of gross income, respectively. For this purpose, the amount of gross income is capped at three times the average salary in the city for the preceding year as published by the local government. 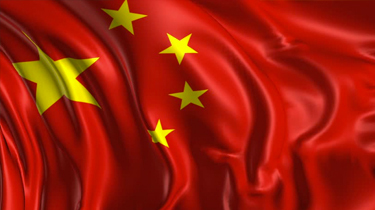 Chinese nationals employed by China entities are eligible for the social security system in China. Under the new China Social Security Law, which took effect on 1 July 2011, foreign nationals working in China must also participate in the China social security system. The Ministry of Human Resources and Social Security in China released interim measures for the participation of foreign nationals employed in China in China social insurances on 6 September 2011. These interim measures took effect on 15 October 2011. Under the interim measures, foreigners who have obtained a China Permanent Residence Certificate, Work Permit, Foreign Expert Certificate or Certificate of Permanent Foreign Correspondent are required to contribute to Chinese social security schemes.